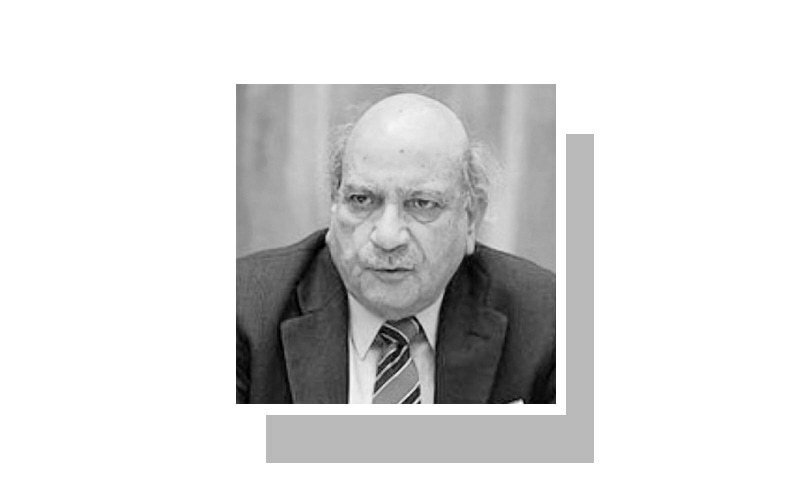 PAKISTAN holds a unique position in the world with its long tradition of disregarding logic and reason in the conduct of its foreign policy. If any other country is acting similarly it deserves a medal for keeping its distinction secret. For many days, the people of this country have been trying to figure out as to what extent their government has committed itself to jumping into the Saudi-Yemeni conflict. A heated debate is going on in the media and at various public forums on the pros and cons of contributing Pakistani troops to the multinational force the Saudis have created for their defence, although little information is available about the threat faced by them. The government does not seem interested in dispelling public anxiety about the fallout of its joining the conflict in the Arabian peninsula. Shouldn’t we introspect before assuming an impossible-looking role in lands we do not know well enough? While speaking in the National Assembly last Friday, the water and power minister, who doubles as the defence minister, only said that no decision to send troops to Saudi Arabia had been taken. But he did not rule out any such step. His assertion that Pakistan would defend Saudi Arabia against any threat to it was open to a very broad interpretation. Before the nature and extent of Pakistan’s possible intervention in an Arab people’s internal dispute is discussed, I should like to know as to who is going to decide the matter or who has authorised the policy decisions apparently taken so far. According to a Saudi news agency, and its report remains uncontradicted, Prime Minister Nawaz Sharif has made some definite pledges of support to Saudi Arabia, first while talking to King Salman in Riyadh early last month, and later on during his telephonic conversation with a Saudi prince. The people have a right to be taken into confidence about the substance of these exchanges. The government has indicated its desire to take the country’s political parties on board. But will such consultation or any reference to parliament be held before a policy decision is made or after it? Misgivings that the government will only seek endorsement of its unilateral decision may not be baseless. Any government claim to a right to decide by itself a matter so fraught with calamitous consequences as joining an intra-Arab conflict will find few takers. Another question is whether the government can fully appreciate the facts of the strife in Yemen. Does it have a think tank or cell of experts who can explain the genesis of the age-old tussle between the Zaydis dominating the highlands in northern Yemen and the Sunnis living in the lowlands in the south, from the days the Yemenis had a king and through their fights with Egypt, Turkey and, to an extent, Britain? What are the causes of the Saudi split with the northern conservatives whom they had backed against the socialist south? What has happened to the various border agreements negotiated over the past 100 years or the North-South unification accord? Is the Foreign Office sufficiently equipped to assist in making sensible choices and to what extent is the government willing to listen to it? Public opinion is being influenced in a particular direction by referring to every Muslim’s duty to defend the holy places of Islam. The last foreign troops to aim their guns at these sacred places almost a century ago were from our own territories. When the Sharif of Makkah was forced out by the Saudis there was some turmoil here but only over the destruction of graves. The custodianship of the holy places changed many times — from the Umayyads and Abbasids to the Egyptians and Turks, and there were the Qarmatians in between. No ruler could claim immunity by virtue of exercising temporal jurisdiction over the holy cities. The question seems irrelevant even today. Another question is whether Pakistan is a friend of Saudi Arabia or must it care for its special ties with its rulers? The Shah of Iran, President Soekarno of Indonesia and Col Qadhafi of Libya were great friends of Pakistan. They helped Pakistan in peace and in times of war. What did Pakistan do when they were dethroned? Obviously, Pakistan cannot defend any friendly regime in Yemen or elsewhere against its own people. Much effort is being expended on arguing that neither the conflict in Yemen nor the Saudi offensive against the Houthi rebels is inspired by sectarian motives. True, no war has been fought solely for any religion’s or sect’s glory but religion has often been used to justify the wars fought for material gains, from the Crusades to the Zia-sponsored campaign in Afghanistan. Regardless of the causes of the Houthi revolt and whatever the alignment of external forces, it will not be possible to keep the sectarian angle out of public perception. The cost to Pakistan will be higher than it has paid for any of its earlier misadventures. Is there any room for indulging in illusions of Pakistan’s ability to mobilise an effective regional or international response? What respect can Pakistan command as a peacemaker when it can neither offer a fair deal to its minorities nor make peace with dissidents in Balochistan? Shouldn’t we as a people do a long-deferred and painful exercise in introspection before assuming an impossible-looking role in lands we really do not know well enough? Many other questions regarding the details of the options being discussed these days must be assailing the minds of the bewildered and impoverished Pakistanis but these could be taken up after the basic assumptions underlying the state’s tilt towards intervention in Arabia have been critically scrutinised. The government certainly has a lot of answering to do. Note: The ‘I’ in the heading and the text represents each Pakistani citizen who believes he/she has a right to confront the rulers who claim always to act in the public interest without ever ascertaining what the sacrificial lambs want. The Pakistanis must be aware that a) The holy sites are far from the border and are not in any danger, other than by demolition crews used by the saudis b) Iran will not take pakistani intervention lightly c) the saudis are the real patrons of pakistan, not the saudi nation or its people as a whol,e just the rulers d) shias in pakistan will be subject to more harm by such interventions. Not that pakistanis seem to care for such truth or for dangers inherrent. An evenly balanced article based on reality and facts. Saudi - Iran conflict is too big for Pakistan. Helping Saudi Arabia by putting troops on ground will get Pakistan money. This is not a free lunch for KSA. But it was the same when Pakistan fought for the Americans. The only difference is the religion of the clients. Once you take up arms against the Shias, it will fracture your country along Sunni-Shia lines. Iran will have complete motive to interfere in your country. And Iranians have money, which you unfortunately don't. Pakistan should not get involved in any issues internationally. Even in India we are constantly asked by the world powers to get involved in conflict. For almost 70 years we have resisted this call. We are not there to do favours to people. We will do what is in our interest. Thats all. Pakistan is facing a lot of domestic challenges.It is better not intervene in other countries internal affairs. Yes not always bewildered wolves should be the authoritative perhaps its time for the lambs to have a say. To say that we will support Saudi Arabia against any threat is rhetoric based on imaginary situation. Said Arabis is not being attacked and its aggression against Yemen is not due to any threats. A leader has been overthrown, which is wrong. But that does not justify Saudi intervention. We have seen such overthrows elsewhere also, including Pakistan and nobody has cared. The only reason is this shia sunni, saudis Iran proxy war. A religious war will only damage coexistence of shias and sunni in many countries. we have to side with someone. sitting on the fence will not work. receiving billions in gifts and then watching do not go together. Why should Iran be bothered if Saudis take action against the Houtis who have dislodged a ligitimate govt. Why are we so pushed about Irans sentiments when closer at home in Afghanistan they showed the least inclination in bringing peace to Afghanista. So who is painting it as a sectarian conflict. Zaydis are not even Shias in the real senc as an Iranian Isna Ashri define themselves. We may not like the the Kings and the Ayatullahs but that is something for the Arabs and the Iranians to decide. For the moment both are considered legit by everyone in the world. The Arabia peninsula should not be allowed to go up in flames...all the combatants should know that there is a resolve to that effect. Yahoos can be allowed to feel confident a la Iraq and a la Libya. Nip the evil in the bud, they say. What Iran and KSA are doing is a non sense at its apogee. And of course we are not the leader of so called "Ummah" so please keep yourself out of it not even as an arbitrator. Our friend is in need and we must help them. Very true questions posed. open the eyes of the reader. Well anaylized piece of writing. The goverment together with military estalishment should answer these questions in open debate on the floor of parliament or on TVs talks'shows to the take the common public into confidence before jumping in the war of no Paksitani land. "WHAT I MUST KNOW", is a wise reflection, before jumping into a situation, beyond the boarders of Pakistan. One question that must be asked is: Has the UN Security Council authorized any intervention to resolve this conflict? Pakistan should not intervene and send a clear massage to the KSA, sorry friend you are on your own. Pakistan and We Pakistani are not in favor to support such type of conflict which is very away from us and its protection of Al Saud not for Mecca and Madina. Lets be real and do not play part as waging army and do not fights others wars.